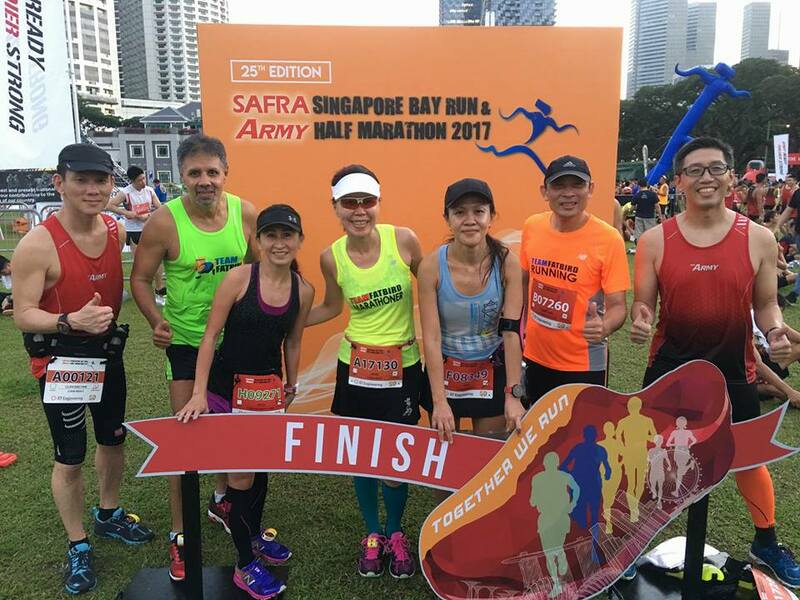 The Kingfishers‘ dedication to 8 weeks of structured strength and speed training paid off at the SAFRA Singapore Bay Run & Army Half Marathon 2017! 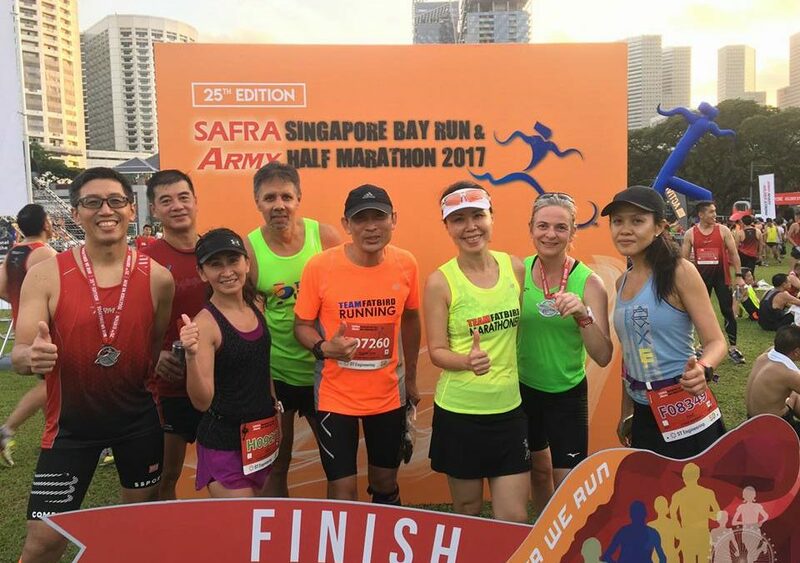 The SAFRA Singapore Bay Run & Army Half Marathon 2017 was successfully organized for a responsive crowd of more than 40,000 runners on 20 Aug 2017. 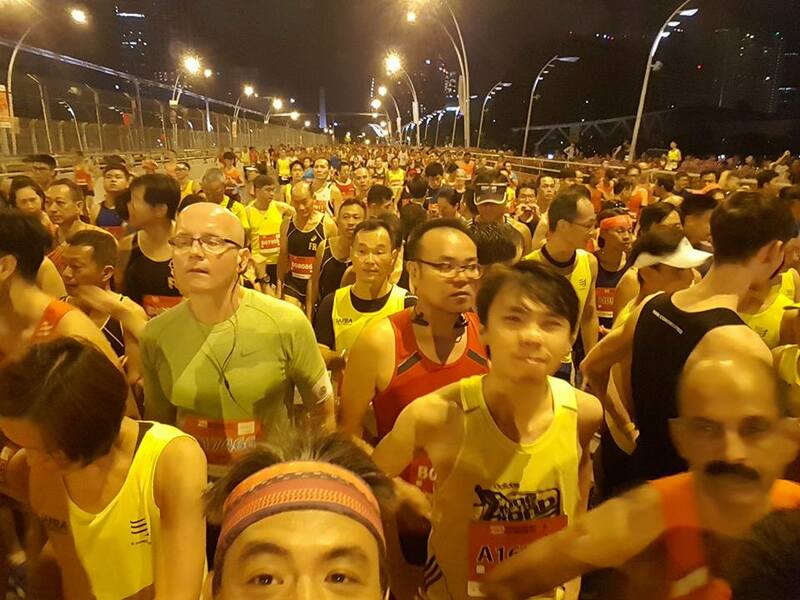 This year’s earlier starting time at 4:30am made it even more conducive for runners who did not relish in running too much in the heat of the sun. 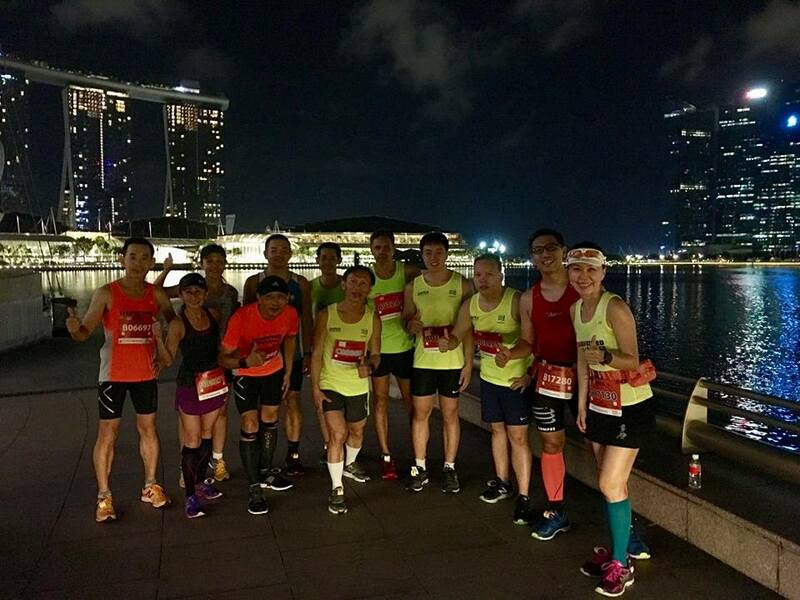 Our runners gathered by 3:30am at the Esplanade Amphitheatre for pre-run warm up routine of jogs, drills and some strides, before moving to the start pens at 4:00am. 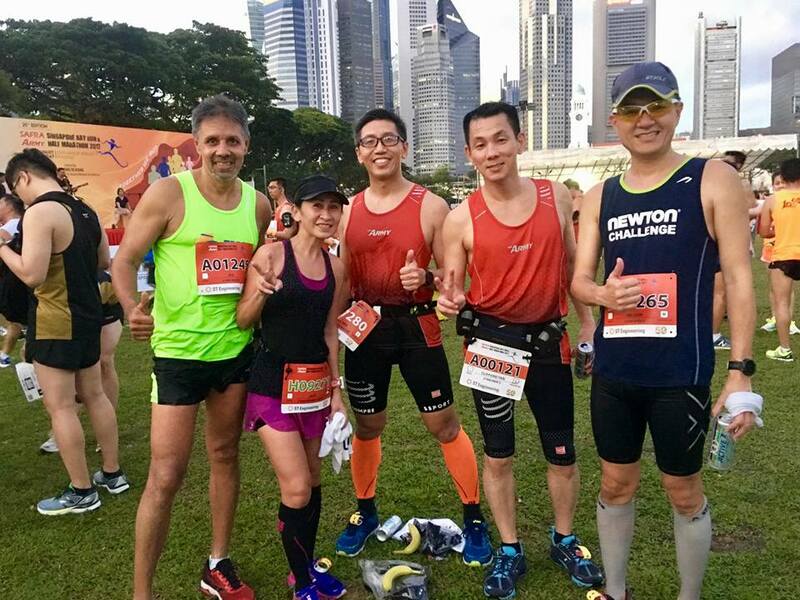 Although there was an initial delay in the start and also congestion for the first 1km, the Kingfishers and FatBirds eased into the flow by executing our race and pace plans to a tee. The weather was a tad humid initially, but got more airy and comfortable as the crowd dispersed and spread out. 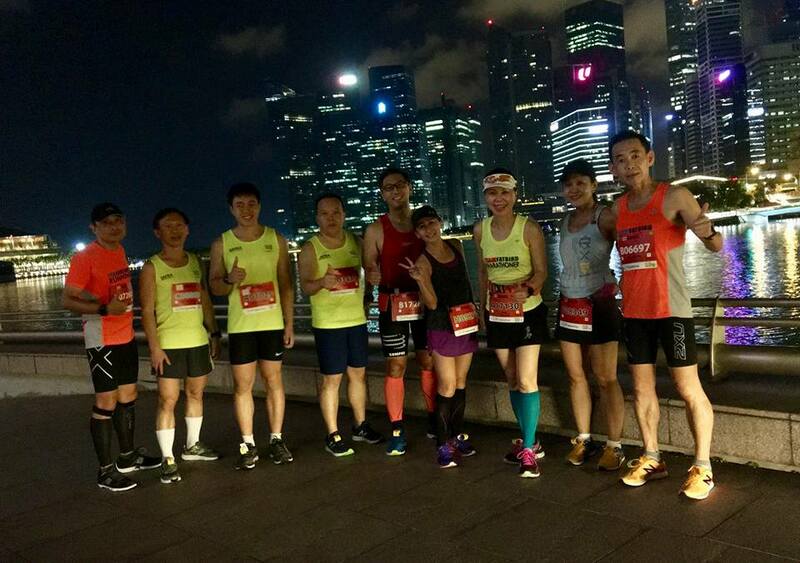 We kept to our Optimal Pace for the first half of the race, patiently picking off slowing runners after the 6-8km mark. 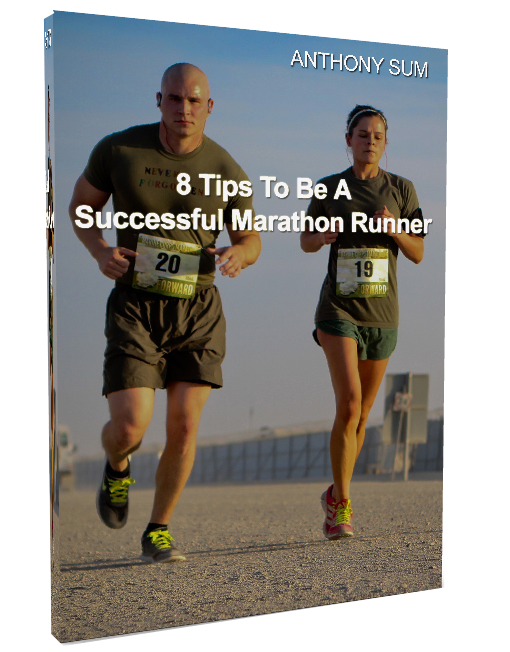 The relatively flat race route this year was much improved with less sharp twists and turns, and hydration points were better stocked and well positioned. After the midpoint right about where we exited from ECP, we maintained our Optimal Pace with some of us increasing pace slightly for negative splits. With the strength and speed developed from all those hills and track training, the Kingfishers found that they could maintain the faster paces with little issues. 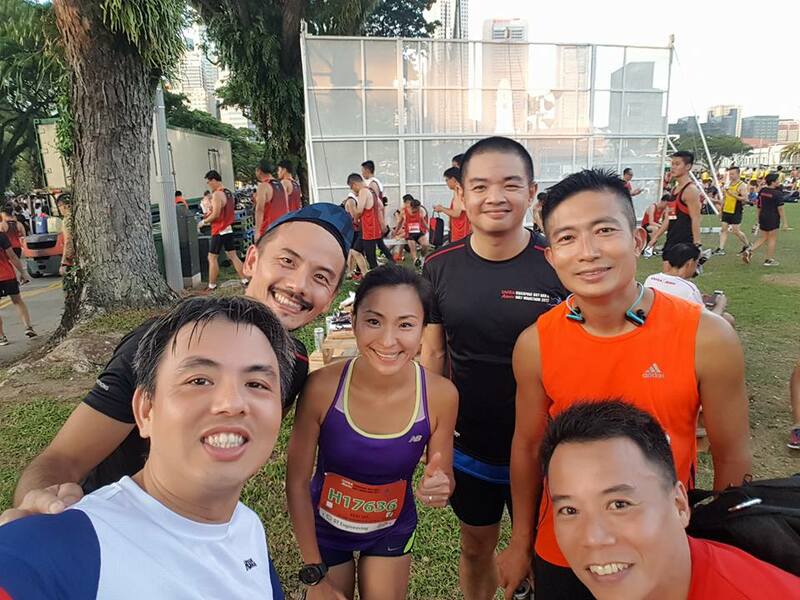 The final 3-5km was the best part for many of our Kingfishers as we maintained pace to overtake many more runners for a strong finish at the Padang area for what was a solid performance for our marathoners. Congratulations to all Kingfishers and FatBirds who outdid their expectations to secure Personal Bests, Season Bests and even Top-10 positions in their age categories.